tl;dr : Breaking 100% VisualCaptcha.net with GitHub scripts available here [Demonstration video]. Captcha (Completely Automated Public Turing test to tell Computers and Humans Apart) is a very popular mechanism attached to “security through obscurity” to protect against bots and attacks by automated scripts. The idea is to ensure that the processing performed by a user is done by a “human” and not by a program (Turing test). contact forms, email submission, to prevent a script / robot automates sending thousands of emails. Registration forms to newsletters, forums and other CMS, always with the objective of avoiding massive account creation via a malicious robot. password change forms, profile modification or change an email address, then they act as anti-CSRF protection if properly implemented. Captchas integrate additional control which the user (customer) must meet. The answer is subsequently verified server side (session) and valid or invalid form submission. In the form of dynamically generated images (GD2), letters, numbers and sometimes symbols are visible on these captchas. “Noise” is added to the image, randomly, to prevent the automation of deciphering them via image analysis libraries like OCR. Image distortion, noise, pixelation, random background, these techniques also apply to sound clips with noise, robotic voices, etc; more suitable for people visually deficient. These captchas, as images, text or sound, ask a question, an enigma, a formula or a problem to the user that only a human (theoretically) can answer. Note the captchas mathematical calculations (audio / image) or the mini games as puzzle. This form of captcha more recent reconciles many users with this security mechanism for its simplicity. The idea is to observe a series of images, and choose the image adapted to the specified word. Eg “click on the glasses”, or “what images show horses.” These captchas are most popular for their ease of access to the new touch devices like smartphone or tablet, where you just “touch” an image and not to rewrite a sequence of characters. 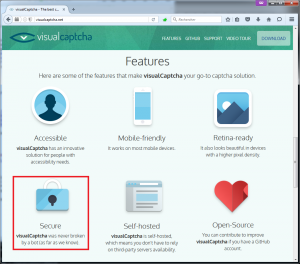 The solution “VisualCaptcha” detailed in the article is included in this category. This category is young. Very few solutions exist (in particular open-source). But it nevertheless remains particularly robust if properly implemented. The new version of “reCAPTCHA“, designed by Google, fully illustrates this principle. The captcha is enabled by a simple “click” in a box (checkbox). After that click, analysis of user behavior ensues before validating or not the captcha. Mouse movement, entropy, features of the browser, screen resolution, referer, user-agent, all these parameters allow finely identify a user as a “human” versus a “robot”. to act as a second factor authentication, wherein the factor involved here is the “human” factor or “robot”. In other words, this captcha solution easily interfaces with all types of projects and attracted more than one developer and users for its ease of use via the touch devices. VisualCaptcha was partially broken in the past (August 14, 2013, version <4.2.0), but the success rate was not 100%. Rebelote in 2014 and 2015. But none of these techniques provided a generic script, adaptable and configurable, compatible with any proxy like Burp. In addition, these solutions were based on the analysis via OCR or using image analysis libraries, and thus turn out to be slower than what I propose. "Type below-the answer to what you hear"
Note: in this article, only the “breaking” of images mechanism is presented. Maybe the method via the audio will follow 😉 ! 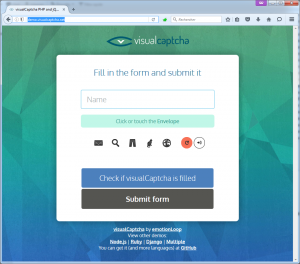 Most implementations of VisualCaptcha, whatever the technology (PHP, Java, etc. ), show the same operating principle. 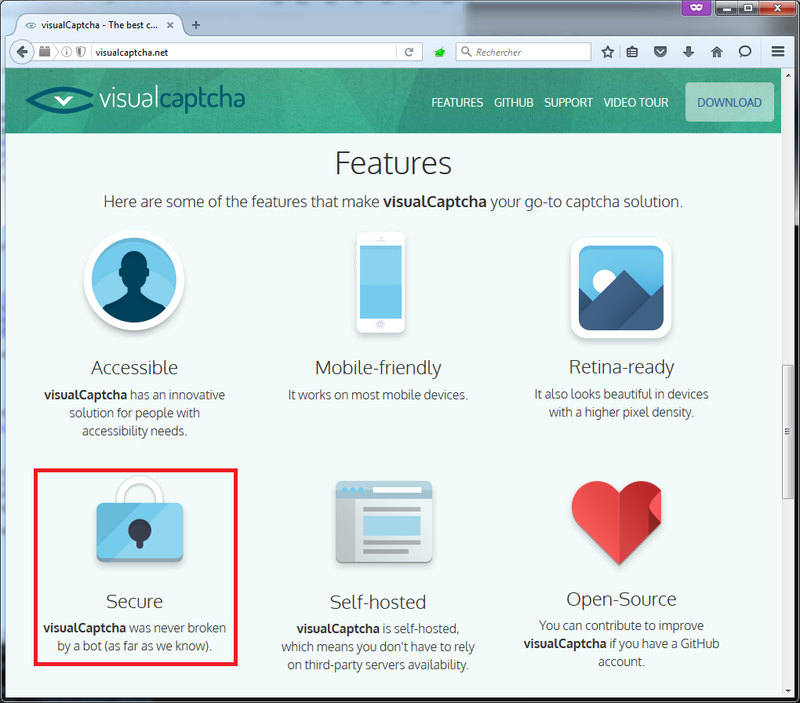 To illustrate this article, the official demo page for the latest version of VisualCaptcha will be the “target” (demo.visualcaptcha.net). 5: the number of random images to be displayed to the user. If this value is set to 1 (for display only one choice), VisualCaptcha displayed by default a minimum security of 4 pictures (2 in previous versions). If this value is set to “10000” for example, all possible images from the image library will be displayed: 37 default in the base image bank of VisualCaptcha. ?r=XXXXXXXXXXXX: GET “r” parameter acts as a “unique session key” for the current captcha (12 characters lower-alpha-numeric). This is a random string (nonce) stored in server-side session, which will allow the browser to load the right images (PNG) by reusing the same value. values: list of 5 random values (because of the “/start/5“) corresponding in order to a unique code to each 5 images that will appear as choice in the user’s browser. imageName: the text label of the image to choose from, such as “tree”, “leaf”, “car” or “glasses”. imageFieldName: name attribute of the hidden input type that will store the value of the image selected by the user. This field name is random between each display. audioFieldName: name attribute of the hidden input type that will store the value derived from the audio extracted by the user (if the “audio” mode is chosen rather than “image”. Field name is random between each display. Ah. Although requested a single image using the “1” still was a “values” list of 4 values. This protection is inherent to VisualCaptcha. Older versions allowed to display only 2 minimum (therefore one chance in two). We do not have 10000 values but only 37 (default maximum number of images in the image bank of VisualCaptcha). This is the weakness of visual captchas: a library of images (and sounds) of fixed size. With the same parameter “?r=XXXXXXXXXXXX” between the same two calls to “/start”, the results returned for “values” or even other fields are constantly random and unique. In addition, the value of the random string “?r=XXXXXXXXXXXX” used during initialization of the captcha by AJAX “/start” is used again to retrieve each image to display “/image/0?r= XXXXXXXXXXXX” until to “/image/4?r=XXXXXXXXXXXX” (or “5” images because “/start/5”). When you click on the first image displayed (/image/0), is the first JSON value of “values” that is injected into the hidden field result. When you click on the last image (/image/4), this is the last JSON value of “values” that is injected into the hidden field result. The values “values” of JSON are ordered in the same way as the index of display each image. Obviously, this POST data capture is specific to VisualCaptcha demonstration portal. On other sites with VisualCaptcha, transmission validation captcha may be different (GET, POST multipart / form-data, etc.). Location: /?status=failedImage (invalid captcha checked on server side by the “/try”)? Location: /?status=validImage (valid captcha checked on server side by the “/try”)? When a protected page VisualCaptcha is displayed in a browser, an AJAX call is made on “/start/NUMBER?r=XXXXXXXXXXXX” with “NUMBER” at least 4 to 37 by default and XXXXXXXXXXXX a lower-alpha-numeric random unique string stored in session. If we define NUMBER to 1 was at least 4 values returned (2 on older versions of VisualCaptcha). If we define NUMBER to 10000 or more, it has the maximum number of values (ie the maximum number of unique images) returned, ie 37 by default. The random string “?r=XXXXXXXXXXXX” used during the initial call “/start” is reused for each image loading PNG “/image/0?r=XXXXXXXXXXXX”, “/image/1?r=XXXXXXXXXXXX “etc. The HTML field “input type hidden” name “imageFieldName” take as value than the corresponding clicked image provided in the “values”. JSON field “imageName” is the text label indicating on which image is to be clicked. JSON list “values” is in the same order that images are displayed. Well, now what? With this analysis we have everything needed to automate the resolution via a script of any captcha produced by VisualCaptcha! First step, we need to list all possible “text” answers implemented in VisualCaptcha. How can we recover and check all the answers included in VisualCaptcha? Simple, we question a lot of times the endpoint “/start” (1000 requests) to retrieve all the values of “imageName”. We put these values into an array, sort the array and delete all same value to finaly display the results. The set of possible answers are now in our possession (increase the number of requests to “/start” to be sure to have all possible answers). The other step after recovery of all possible text responses is to download the entire image database. The image “/image/5?r=XXXXXXXXXXXX” does not exist (404) because the “/start” with the session key “XXXXXXXXXXXX” will have been initialized with “5”. Perfect ! Time to move on! Why this chapter? We have all the bank of images in PNG, so why convert them to JPG? The reason is very simple. 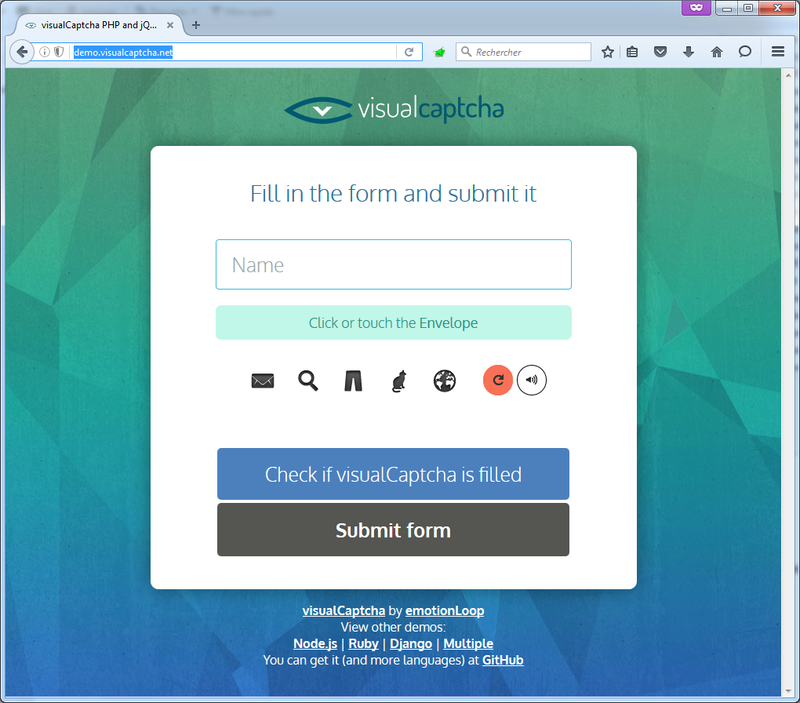 April 30, 2014, a “major” changes VisualCaptcha emerged. This is discussed on this topic. The developers of the solution have added extra random bytes (1 to 50) in the pictures whenever they are displayed (for example “the printer”). In other words, all previously downloaded image library is not comparable to any other library of images downloaded again in another folder. Although these 3 images visually represent identically the same printer, size (files) will vary slightly because of random bytes added by VisualCaptcha … So the comparison with “checksum” is not possible with PNG. .. This new VisualCaptcha protection technique only appeared following this topic (source code here). Older versions do not apply these changes, and therefore each “checksum” returning the same value. To work around this protection, the idea is to convert each PNG to JPG! This is good! JPEG checksums are identical in our 3 different images in PNG yet! They have lost some quality and transparency, but they are unique, distinctive and visible (with comparable checksums). That’s enough for the continuation of our operations! Our dictionary is ready (see this script)! Just go to cracking / breaking VisualCaptcha. How the process will be done? You have a form (sending mail, registration, password reset, etc.) protected with VisualCaptcha. You collected all the labels, all images converted into JPG, and created the lookup table. Now, you have to produce the form submission POST request (in the example, that of “demo.visualcaptcha.net”) with the correct POST variable name and good POST value. To query “/start” with a small number (to have less choice of images possible) and keep all JSON parameters, including “imageName”, “values” and “imageFieldName”. Download (always automatically via script) PNG images (4 or 2 depending on your version of VisualCaptcha) associated with the “current session captcha”. If a value matches, then submit the form with POST for validating the captcha imageFieldName = values [N] where N is the corresponding picture! To make this script VisualCaptchaBreaker as possible generic, the idea was to pass an HTTP request in raw format in the script input, changing the field that the script should automatically replaced with the values of captcha broken. This example use standard POST data, another example with POST multipart/form-data is here. Bingo! “status=validImage” for each test ! (Tested with more than 10 000 requests with 100% success). It was during one of my pentest missions that I test VisualCaptcha. This one was built natively default captcha solution in a known and widely used CMS. By digging a little into this captcha solution that says “never broken by a bot (as far we know)” I pushed the analysis to the production of this present article and the creation of a tool with 100% success rate. The VisualCaptcha on which I fought was obsolete (old version before 2014), and the safety of 1 to 50 random bytes added to the images was not present … A first version of the script was therefore based on checkSum PNG without going through a conversion to JPG. Only after being interested in the latest VisualCaptcha, particularly through the demo portal, the idea of converting JPG to bypass this protection has been implemented successfully. VisualCaptcha is a great solution (though breakable). But after all, when a captcha uses a fixed size of knowledge base, the solution is considered to be non-secure. This is one of the few simple solutions to implement, compatible with a multitude of technologies, fully open-source, beautiful and easy to use (it must be said!) while being particularly suitable for touchscreen terminals. Improve the mechanics of making random images with 1 to 50 bytes added, changing pixels such that even when converting JPG checksums differ. Certainly OCR solutions can still get around, but the scripting task will be even more complex for a potential attacker. There are also alternatives to outright checksum, as pHash that the solution will thwart. To limit the number of mass submission of protected forms via VisualCaptcha, it would be interesting to add a minimum time a user must wait between initialization captcha (AJAX call “/start”) and the final submission form. Indeed, for a contact form for example, the user will take at least a few seconds to fill out all fields and select the right captcha, so add this security natively. 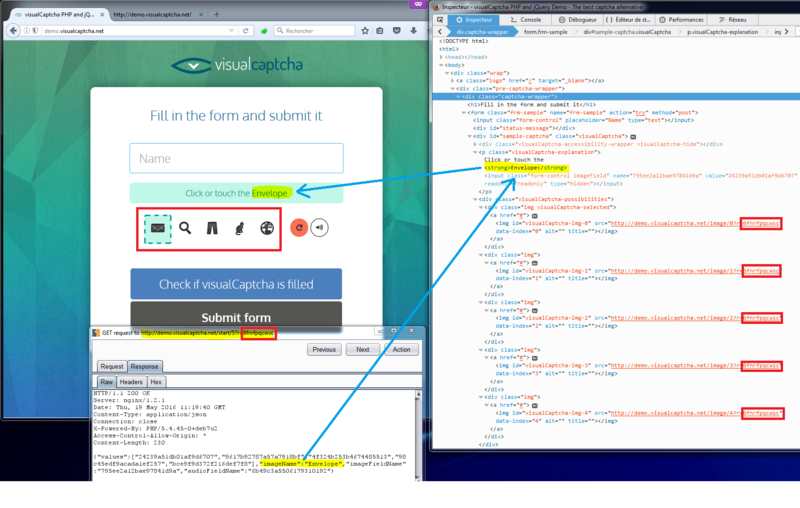 A issue was opened on the official GitHub of VisualCaptcha to present these ideas and demonstration. All these targets forms were initially protected via VisualCaptcha. 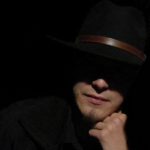 I wanted to thank Bruno Bernardino, one of the main developers of VisualCaptcha and initiator of the project, for his kindness and his interest about the discussions we have had on GitHub.